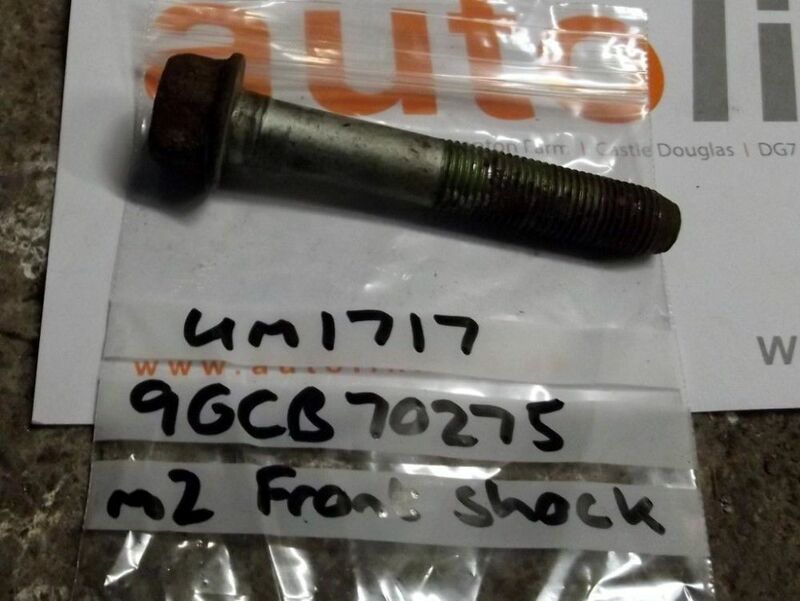 Used Shock absorber lower mounting bolt, front, Mazda MX5 mk2, 19989-2000. UM01717. Used part. This is the bolt that attaches the lower end of the front shock absorber to the lower wishbone. Genuine Mazda part. MX-5 mk2 only 1998 to 2000.